Joseph Samperi, who has memory loss and needs medication, has been missing in the Laguna Woods area. 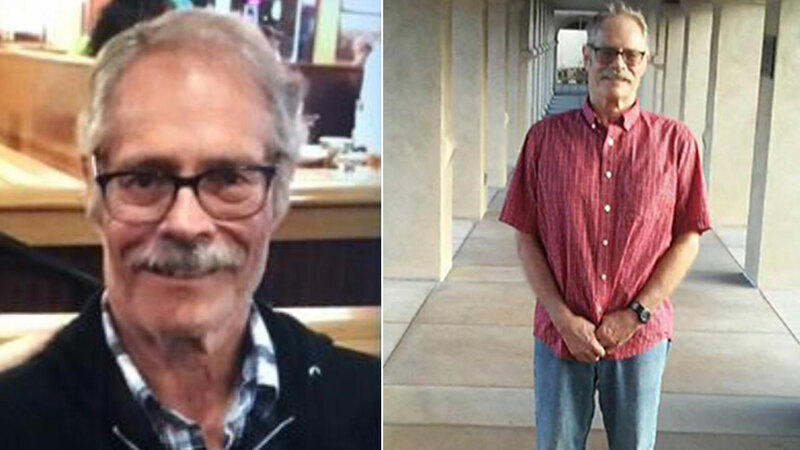 LAGUNA WOODS, Calif. (KABC) -- Authorities are seeking the public's help locating a missing man with memory loss and medication needs in the Laguna Woods area. Joseph Samperi, 67, was last seen in the 3000 block of Via Vista in Laguna Woods around 10 a.m. Saturday. Samperi had a recent brain injury, causing memory loss, officials said. He has no personal identification other than a medical alert necklace. He is in need of blood pressure medication. Family members say Samperi lives in Pomona, but was visiting a relative in Laguna Woods and wandered away unnoticed from a medical transport vehicle. He was believed to be wearing blue jeans, a gray long-sleeve shirt and a dark-colored hooded sweatshirt. Anyone with information was asked to call the Orange County Sheriff's Department at 714-647-7000 or 714-628-7170.